By accessing, using, or viewing the SIRCUIT® Cosmeceuticals Inc. Website (the “Website”) or any of its services, functions or contents, you agree to each of the following terms, conditions and notices which govern your use of the Website and your purchase of products on the Website. The terms “we,” “our,” and “us” refer to SIRCUIT® Cosmeceuticals Inc. The Website contains information about products authorized in the United States, and is intended for a United States audience. If you live outside the United States, you may see information on the Website about products that may not be available or authorized in your country. The products made available by us and our suppliers on this Website are intended for personal use only. You may not assign, transfer, re-market, resell or otherwise dispose of, such products without obtaining our prior written consent. We and our suppliers may cancel or modify your order on the Website if it appears that they are the result of fraudulent or inappropriate activity or under other circumstances where it appears that the purchase contains or has resulted from a mistake or error. Other terms and conditions included on the Website, including return and shipping policies, may apply to your purchase and are incorporated by reference herein. The Website has been designed to provide general information about us and our business and to offer the opportunity to purchase our products. The information provided at the Website is not intended to provide medical advice. You should not construe our publication of any content on the Website as any warranty or guarantee of any strategy, recommendation, treatment, action or application of any product. All material and information presented by SIRCUIT® Cosmeceuticals Inc. is intended to be used for educational or informational purposes only. Your use of this Website is subject to these Terms and Conditions. The statements made about products have not been evaluated by the U.S. Food and Drug Administration and the results reported, if any, may not necessarily occur in all individuals. The statements and products are not intended to diagnose, treat, cure or prevent any condition or disease. Use of this Website is not meant to serve as a substitute for professional medical advice: this Website is solely an online store for specialty beauty products. Please consult with your own physician or health care practitioner regarding the use of any goods, products or information received from this Website before using or relying on them. Your physician or health care practitioner should address any and all medical questions, concerns and decisions regarding the possible treatment of any medical condition. We do not give or intend to give any answers to medical related questions and this Website does not replace any medical professional or medical resource. We do not represent ourselves as a physician nor is it implied. No prescription medications or medical treatments are intentionally provided on this Website. If you are in need of medical attention, call 911 or your physician immediately. It is our policy to enforce our intellectual property rights to the fullest extent permitted under law. The entire contents of the Website, including but not limited to any associated text, software, photos, video, graphics, audio and other materials, are protected by international copyright and trademark laws. We own or license the copyrights to all content on the Website and all of the trademarks, service marks, trade names, service names, trade dress and products on the Website (“Content”). Except for accessing the Website in accordance with these Terms and Conditions for personal and internal purposes, you may not use, modify, copy, reproduce, republish, upload, post, transmit, decompile, reverse engineer, disassemble, distribute or otherwise exploit any of the Content, in whole or in part, without our express written permission or, in the case of content licensed by us from third parties, the entity that is credited as the copyright holder of such licensed content. Except as set forth above, nothing on the Website should be construed as granting, by implication, estoppel, or otherwise, any license or right to use any Content without our written permission. Any and all rights not expressly granted herein are reserved by us. The Website and the information contained and referenced herein are for informational purposes only. Request for permission to reproduce any information contained on the Website should be addressed to us at the address listed on our Contact Us web page. The Website is to be used by you for your personal use only. Commercial uses of this Website are strictly prohibited unless prior written consent from us has been granted. You agree that you will not through any means interfere or attempt to interfere with the proper functioning of the Website. You agree that you will not use any robot, spider, other automatic device or manual process to monitor or copy the Website or any contents or information contained therein, unless you obtain prior express written consent from us. You agree that you will not directly or indirectly export, re-export, or knowingly permit the export or re-export, of the Website or any Content to any country or otherwise use the Website or any Content in violation of any applicable export or other laws and regulations of the U.S. or any other country. You agree not to use the Website or the Content to: (i) restrict or inhibit others from using and enjoying the Website; (ii) gain unauthorized access to other accounts on the Website, or other computer systems or networks; (iii) store, collect or disclose any information except as strictly necessary to use the Website; (iv) impersonate or otherwise misrepresent any person or entity, or make false or misleading indications of origin or fact; (v) frame or utilize framing techniques to enclose www.sircuitskin.com or any portion thereof; (vi) collect account information for the benefit of yourself or another party; and (vii) use any meta tags or any other “hidden text” utilizing our name or the trademarks or to otherwise use the trademarks. You agree not to use the Website or the Content to transmit or upload: (i) unauthorized advertising, promotional materials, junk mail, “spam,” chain letters or any other form of unauthorized solicitation; (iii) any material that violates or infringes the rights of third parties; (iv) any virus, worms, time bombs or any programs or component designed to interrupt, destroy or limit the functionality of any computer software, hardware or telecommunications equipment; and (v) any material that is unlawful, threatening, abusive, harmful, harassing, defamatory, tortious, hateful, racially, ethnically or otherwise objectionable, obscene, sexually explicit or indecent. Without limiting the foregoing, you agree to comply with all applicable laws, rules and regulations that apply to your use of the Website. You, and not SIRCUIT® Cosmeceuticals Inc., shall be responsible for ensuring that your use of the Website and Content does not constitute a criminal offense, give rise to civil liability or otherwise violate any applicable law, regulation or ordinance, including, but not limited to, U.S. law regarding the transmission of technical data. You agree to obey the requirements, procedures and policies of computer systems connected to the Website. In consideration of your use of the Website, you represent that you are at least 18 years of age, or the legal age to form a binding contract in your jurisdiction if that age is greater than 18 years of age, and you agree to provide accurate and complete information about yourself as requested in any order or account registration form (the “Registration Data”). If we suspect that your Registration Data is inaccurate or incomplete, we may suspend or terminate your account. The Website may only be used by individuals who can form legally binding contracts under applicable law. Without limiting the foregoing, the Website is not available to children (persons under the age of 18). If you are a under the age of 18, you can use the Website only in conjunction with, and under the supervision of, your parent or guardian who has agreed to the Terms and Conditions. If you do not qualify, do not use the Website. 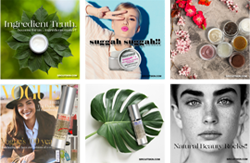 The BUZZ section of the Website is for the purpose of sharing positive experiences that you had with SIRCUIT® Cosmeceuticals Inc., with certain products or with certain companies associated with SIRCUIT® Cosmeceuticals Inc. Published testimonials are genuine, but SIRCUIT® Cosmeceuticals Inc. reserves the right to edit or alter such to remove personal information, statements that may be a violation of law, or statements that may infringe on the rights of SIRCUIT® Cosmeceuticals Inc. or third parties. You give us permission to reprint or use the testimonial in connection with our business (including but not limited to the marketing and selling of various products, as well as the marketing of SIRCUIT® Cosmeceuticals Inc.). You are agreeing to the following: (1) the reprint or use of the testimonial will be at our discretion and without compensation to you; (2) we may use the testimonial with or without any name credit; (3) our right to use the testimonial is perpetual and may be assigned by us; (4) We may use the testimonial locally, nationally or globally and such use may be made in any media, information or communication platform (including Internet advertising) currently in use or later developed; and (5) SIRCUIT® Cosmeceuticals Inc. may allow any of its parents, subsidiaries or affiliates to use the testimonial in the same manner as set forth herein but in relation to their businesses and websites. You agree that we have no obligation to, but may monitor and review information you transmit over the Website. You agree that the we may censor, edit, remove or prohibit the transmission or receipt of any information that we deem inappropriate or in violation of these Terms and Conditions, and use any such information as necessary to provide the Website and to protect our rights. You agree that we may also monitor and review stored information without restriction. You hereby acknowledge and consent to such monitoring and reviewing. This Website and our emails may include links to other websites. We provide such links solely as a convenience to you and for informational purposes only. We have not reviewed all of the information on these other websites. The inclusion of these links in no way indicates our endorsement, support or approval of the content, advertising, products, services, policies or other materials on or available from such websites. Neither we, nor any other providers of products related to this Website, shall be responsible for the content of any other websites and make no representation or warranty regarding any other websites or the contents or materials on such websites. If you decide to access other websites, you do so at your own risk. Other websites may include links to the Website. The inclusion of such links does not indicate the other website’s endorsement, support or approval of the content, advertising, products, services, policies or other materials on or available from the Website. You shall indemnify, defend and hold harmless SIRCUIT® Cosmeceuticals Inc., its officers, directors, shareholders, employees, agents and representatives against all liability, demands, claims, costs, losses, damages, recoveries, settlements and expenses including without limitation interest, penalties, attorneys’ fees, accounting fees, and expert witness fees arising out of or related to (i) your use of the Website or the Content and (ii) any breach or non-compliance by you of these Terms and Conditions. We shall have the right at our own expense, but not the obligation, to assume the exclusive defense and control of any matter subject to indemnification by you, and you shall not in any event settle any matter without our prior written consent. Our failure to act with respect to a breach by you or others does not waive our right to act with respect to subsequent or similar breaches. Any cause of action or claim you may have with respect to the Website or these Terms and Conditions (including but not limited to the purchase of products) must be commenced within one (1) year after the claim or cause of action arises, shall be handled individually without any class action, and shall be governed by, construed and enforced in accordance with the laws of the State of California, without regard to its conflict of law provisions. We reserve the right to seek all remedies available at law or in equity for violations of these Terms and Conditions, including the right to block access from a particular internet address to the Website. You agree to personal jurisdiction by and venue in the state and federal courts of the State of California, County of Los Angeles. Arbitration under this agreement shall be conducted under the rules then prevailing of the Consumer Related Disputes Supplementary Rules. The arbitrator’s award shall be binding and may be entered as a judgment in any court of competent jurisdiction. In the event that any provision of these Terms and Conditions shall be unenforceable or invalid under any applicable law or be so held by any applicable arbitral award or court decision, such unenforceability or invalidity shall not render these Terms and Conditions unenforceable or invalid as a whole. We will amend or replace such provision with one that is valid and enforceable and which achieves, to the extent possible, our original objectives and intent as reflected in the original provision. We may at any time amend, modify or supplement any terms and conditions applicable to the Website, and your continued use of the Website will constitute your acceptance of any such amendment, modification, or supplementation. If you have any questions about the Terms and Conditions, please contact us by sending a letter or email to: SIRCUIT® Cosmeceuticals Inc., 323 Mira Loma Avenue, Glendale, CA 91204 or sircuitcentral@sircuitskin.com.